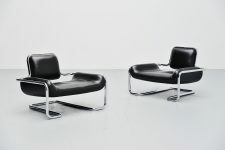 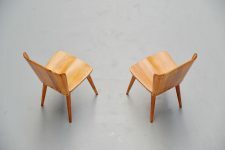 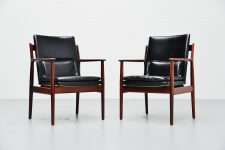 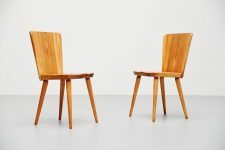 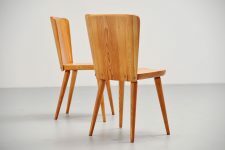 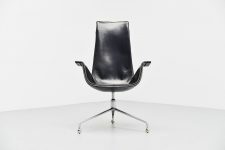 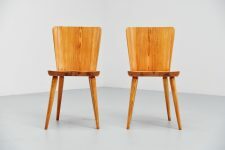 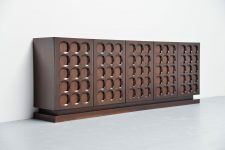 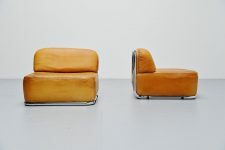 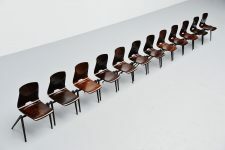 Very nice superbly crafted side chairs designed by Carl Malmsten for Svensk Fur – Karl Andersson & Söner, Sweden 1940. 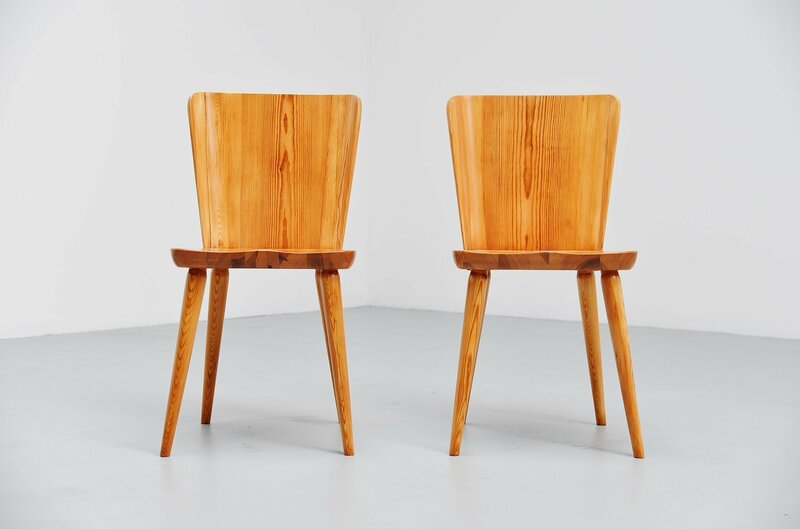 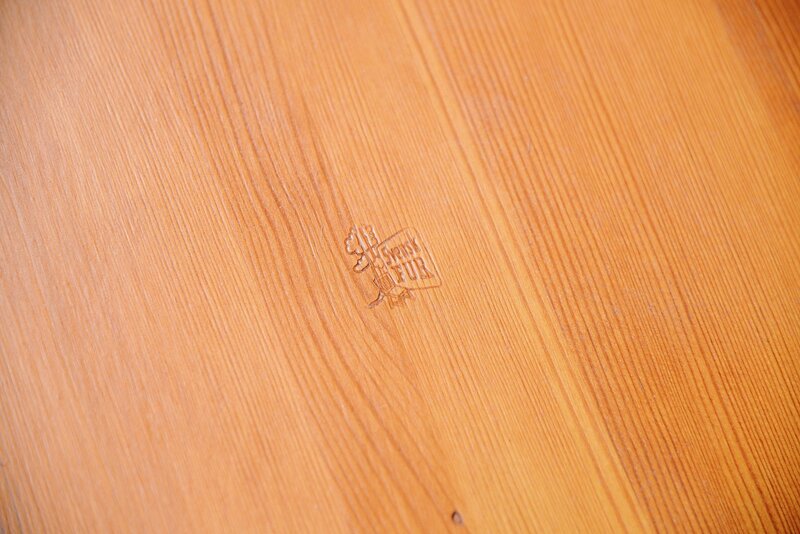 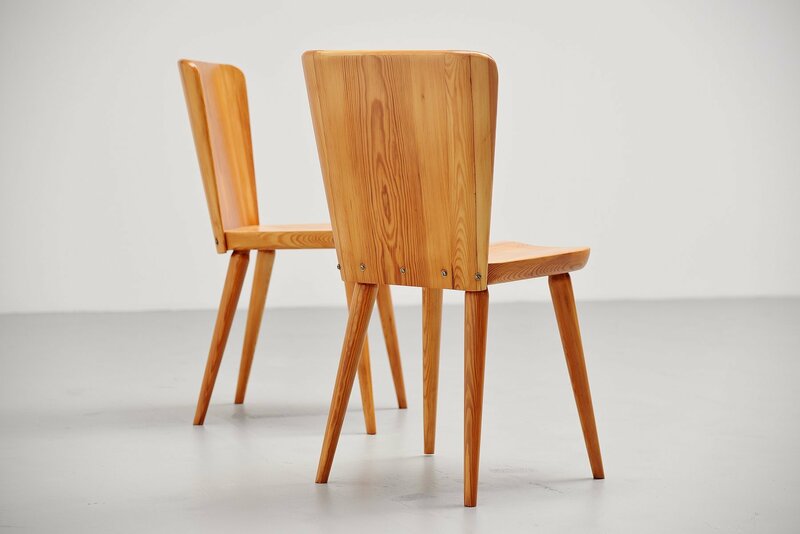 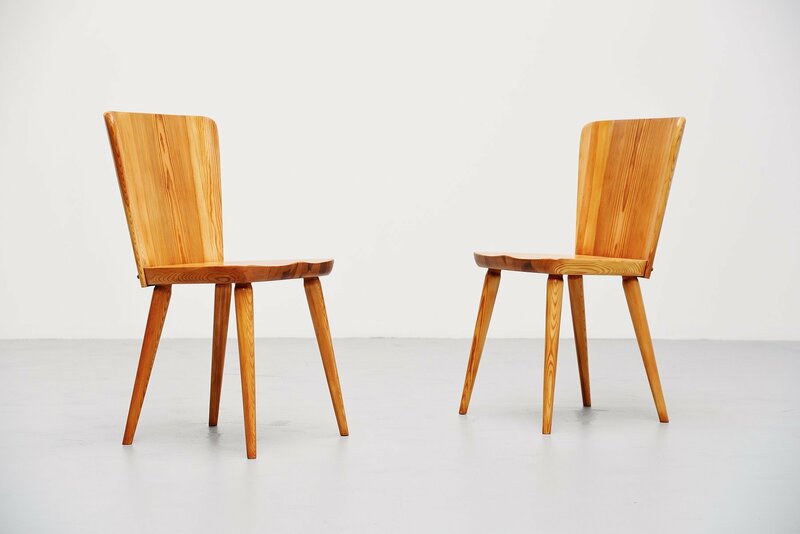 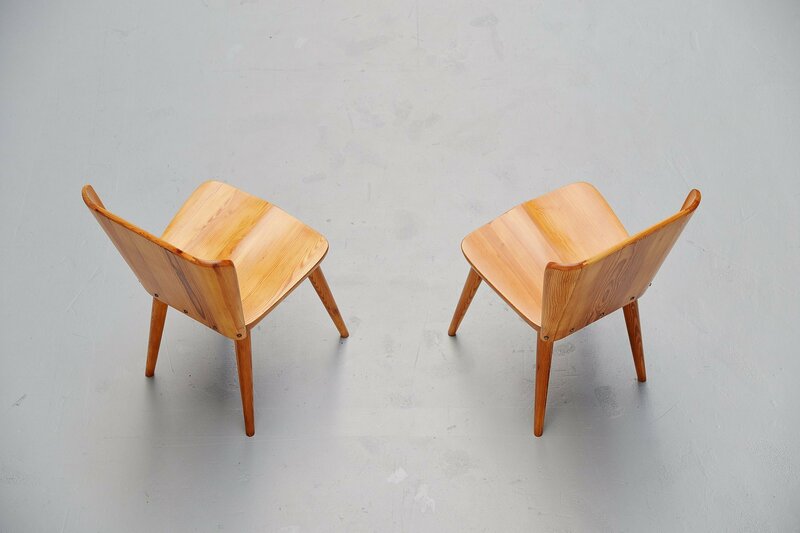 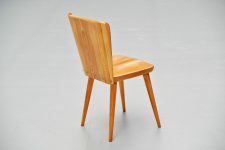 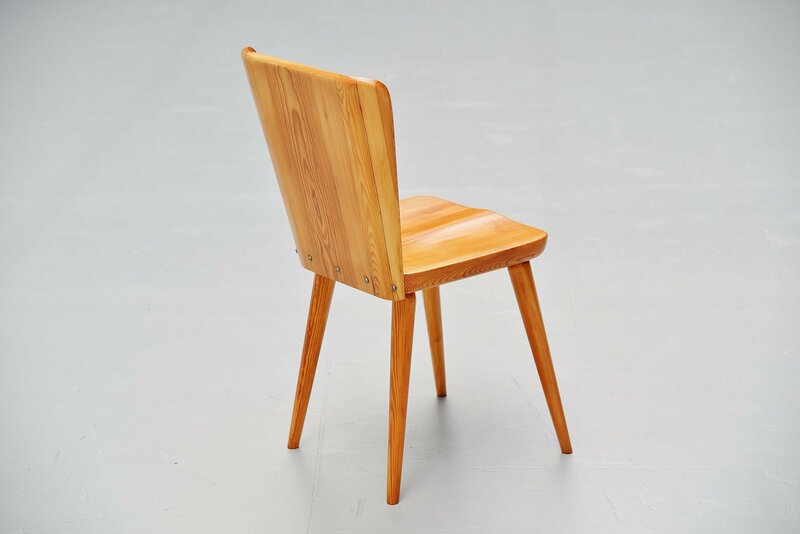 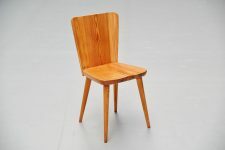 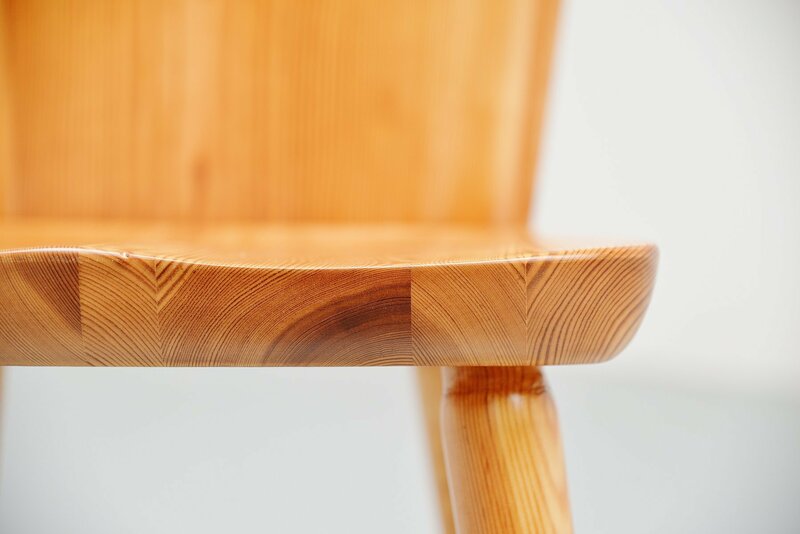 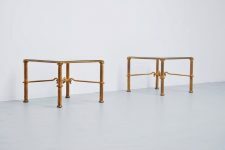 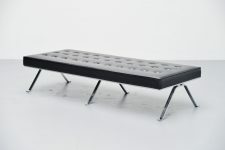 These chairs are made of solid pinewood and are crafted into perfection. 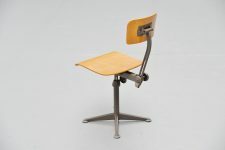 The connections on the seat and back are very impressive. 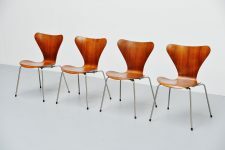 The chairs have been fully refinished with high quality UV protection lacquer so these look perfect again.